The challenges facing managers who lead government and non-profit organizations are truly significant as they try to achieve results in the context of jagged, complex, and difficult environments. 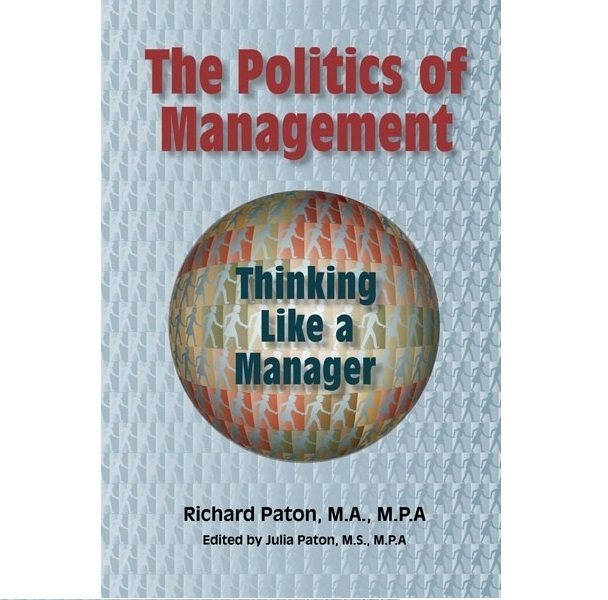 Richard Paton‘s thirty years of management experience in senior positions in the federal government of Canada and as head of a business association for seventeen years have been poured into this book, developed over a period of twenty-five years of teaching a Masters in Public Policy and Administration course at Carleton University. Its primary aim is to help first-time managers or managers early in their careers to learn to think like a manager and develop the strategies, skills, and style required to be effective in their organizations. *Also available for purchase in several other digital formats. Search for he Politics of Management ─ Thinking Like a Manager through your preferred device.